English Manual: Letter by Letter – Alphabetic tips and tricks on English language usage. This underpass is a pedestrian walkway. The Phoenician letter waw (Y), or “hook”, was one of the most variable, undergoing many mutations as it was adopted by various languages and cultures. This letter was the sixth in the alphabet and the origin in Greek of the letters digamma (F) and upsilon (Y), and in Latin of F and V. The letters U, W, and Y were also derived from it. Thus, waw became both a consonant and a vowel. In Aramaic, Hebrew, Arabic, and Syriac, the letter waw came to be written in different ways, as a single stroke or a little circle. In Latin, a stemless waw (V) was used for the letters U and W. In the 14th and 15th centuries, the lower case letter v began to be rounded sometimes into a u. The capital U became accepted in the 1700s, especially in France. There is still confusion over the pronunciation and usage of the waw-derived letters, especially in English words borrowed from other languages. Define each word in the lists, “Some U Words.” Identify each as a noun, adjective, verb, or adverb. Use each word in a sentence. An underpass is the space under a bridge of some sort, allowing traffic to go through. A long underpass may be called a “subway”, distinct from subway meaning “underground” or “tube” rail transport systems. 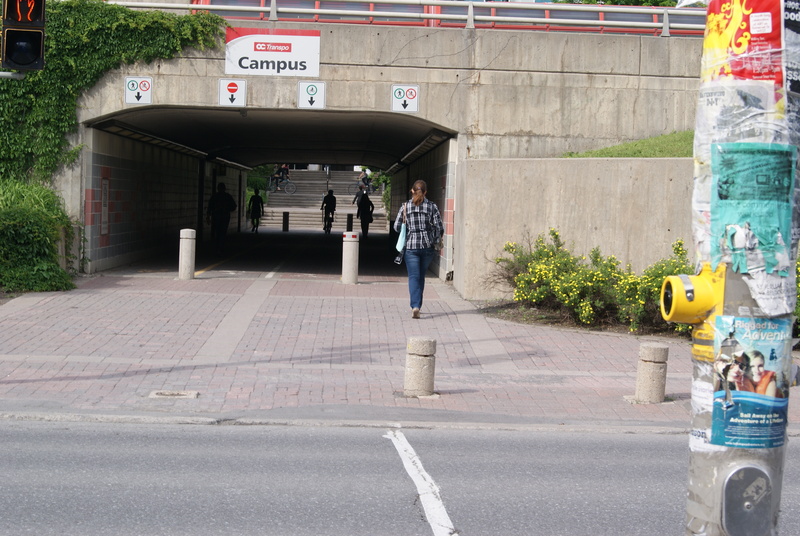 Pedestrian underpasses are built where heavy foot traffic needs to avoid a major thoroughfare. Note: This blog post is an excerpt from a book, “English Manual: Letter by Letter,” to be published in 2017. 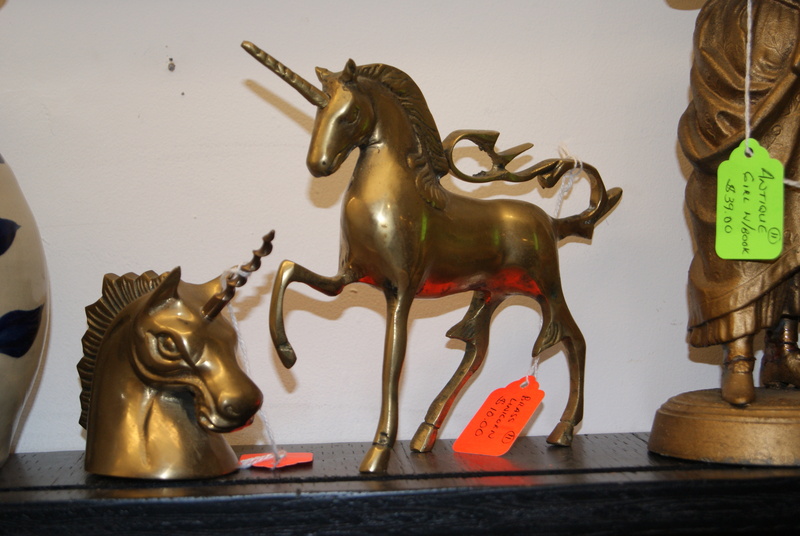 Unicorns exist in the imagination, in toy stores, and sometimes in flea markets. Examine the lists of “Vowel—Consonant Combinations” and “Vowel—Vowel Combinations,” and see how many more words you can add to the lists. A unicorn is a mythical beast with one horn or antler, rather than two. Unicorns are usually depicted as a white horse with flowing mane and tail. Do you use an umbrella in a downpour? Up until Thursday, I thought they were ugly. 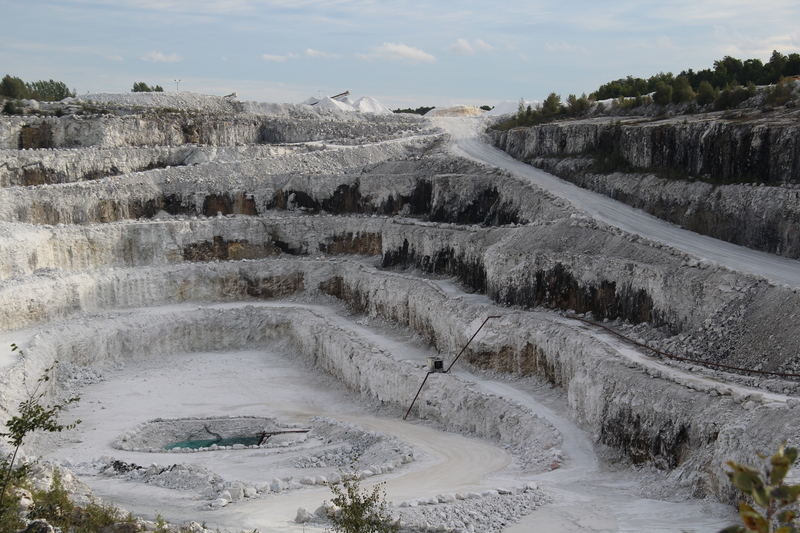 The marble quarry at Tatlock, Ontario, courtesy of Gary Sparkes. The letter Q is derived from the Greek koppa and Semitic qoph. The original meaning of qoph is most likely a “cord of wool” and the original representation, a knot. Another suggestion is that Q represented the eye of a needle with a thread. A similar word in Arabic suggests that it might mean “nape” and represent the back of a head and nape of the neck. Yet another suggestion is that Q represents a monkey. I rather like that one. In poetry, a quatrain is a four-line stanza and a quintain (or quintet) is a five-line stanza. These are usually part of a longer poem and may be variously rhymed. Write your own quatrain or quintain using at least one Q word. Which form is easier to write? 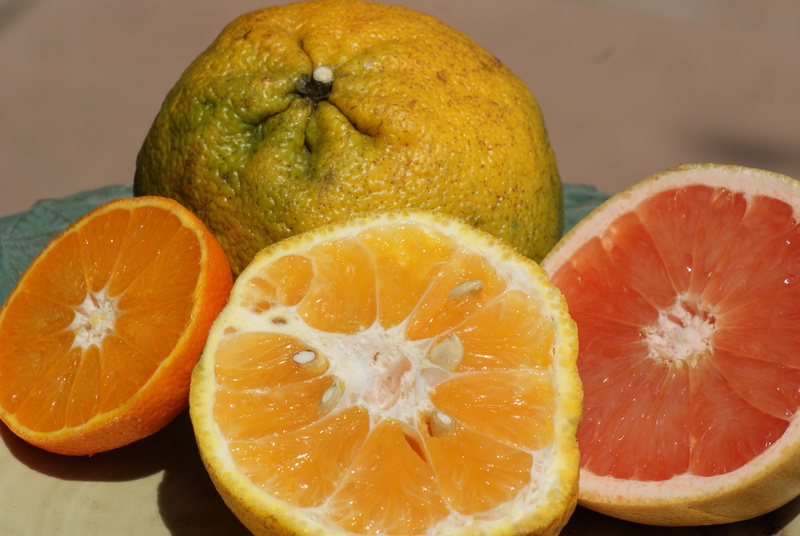 An Uglifruit is a cross between a tangerine and a grapefruit. U is not pronounced when it comes after G and before a vowel. In these words, the U serves to make a hard g-sound. The letter U may take on the sound of W, especially after a G or a Q. In these words, the letter U does not create a hard g-sound. The G is a part of the nasal form —ing— or —ong—. The same rule applies when the letter U follows a C. The U is silent, but serves to make a hard-c sound. U is also silent in words of mainly French derivation with the suffix —que. U is silent in few other words. Make a sentence using words with a silent U and then sound them out. Uglifruit is a trademark name for a Jamaican tangelo, a hybrid cross between a tangerine and a grapefruit (or pomelo). Is it our Ulster team that is the underdog? That’s unusual. The top of the CN Tower in Toronto, Canada. That and this are used variously as pronouns, adjectives, and adverbs. That (plural, those) is a commonly used to indicate a thing (or sometimes a person) or an action or a circumstance. That particular dog over there was the one that ate the turkey. Those skills are very necessary to succeed in that business. We won’t do that again. I would not go so far as to say that. That morning, he was at work. Used as an adverb to introduce a phrase, the word that is sometimes omitted. That is one item that we defined as the priority. That is one item we defined as a priority. This (plural, these) is similarly used to indicate a thing (or sometimes a person) or an action or a circumstance. This dog of yours, here under the table, ate some turkey, too. These are the items that we defined as essential for this (our) business. What did the team decide about this? Don’t do this; you may break something. This morning, I am very busy working. Generally, this refers to familiar things close by and that to less familiar things further away. I have this idea about that topic on the news. The saying, this and that refers to unspecified things that you have been doing or getting. I went to the store and got just a little of this and that. How do you describe a class of things, such as cars, for example? Create your own taxonomy or classification. Create sentences using the words this and that in as many ways as you can think of. They told me that Timothy and Thomas treated themselves to ten trials at the terrible tumbled-down tenement. 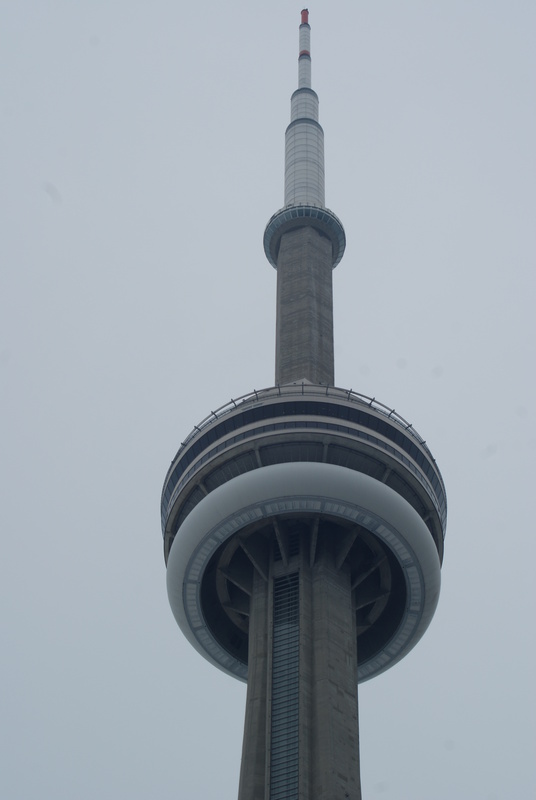 The CN Tower, which opened in 1976, is over 550 metres tall (over 1815 feet tall). The Edge Walk attraction is a narrow ledge 116 storeys above ground level. 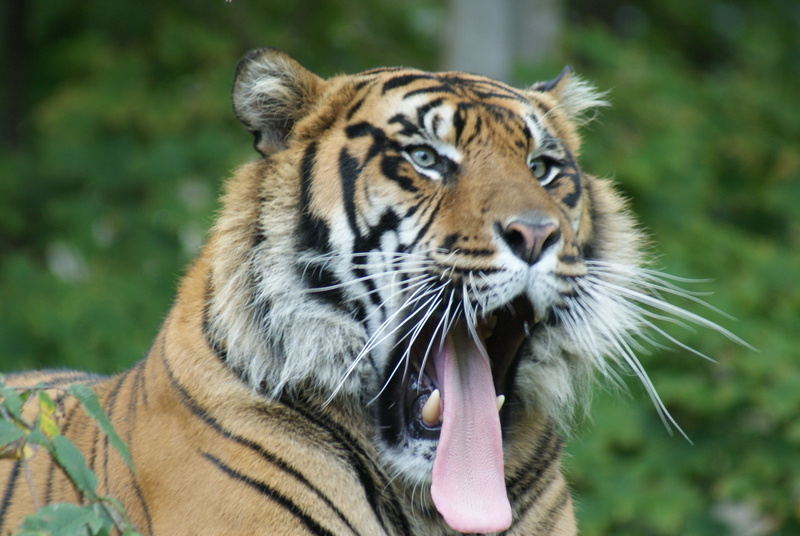 You may visit this tiger at the Toronto Zoo. tachi—, tacho—, tachy— all imply “swift”. techno— relates to the use of technology. tele— comes from the Greek “far off” and often refers to television or telephone. ter— means “three” or “thrice”. tera— means a factor of one trillion (1012) or, in computing, a multiple of 240. —t replaces the suffix —ed in some words. —th, —eth are archaic or Biblical verb endings (third person singular, present tense). —th, —eth are endings that form ordinal numbers. —th may refer to an act, process, state, or quality. —the— may refer to God or gods. Look through the prefixes and suffixes. Do you see any that you might use on a day-to-day basis? Create a sentence with each of those. For the prefixes and suffixes that look less familiar, identify where you might find them, e.g., in a scientific text or a medical paper. Two tigers tore through three treacle tarts.